Eden Sands 10 - Winklespruit Accommodation. Breaker view, sea and beach view self-catering apartment/flat. 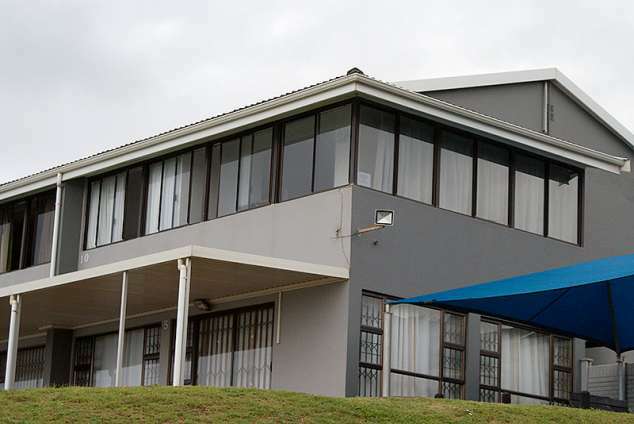 Situated on the 1st floor in a relaxed atmosphere in Winkelspruit between Warner Beach and Illovo Beach on the South Coast, Kwazulu Natal. This apartment caters for 6 people. Main bedroom - Queen size bed. Second bedroom - Two sets bunk beds sleeps 4 people. Serviced Monday - Saturday (Not Sundays and Public holidays). Cleaning staff will only clean bathrooms, floors and living area. All linen is provided - Please bring your own bath and beach towels. Once a week the linen will be changed. Open plan kitchen - Granite tops. Equipped with crockery, cutlery and cookware. Fridge/Freezer. Microwave, hob/under counter oven. (No washing machine or dishwasher). Various electric appliances. 28" TV in the main bedroom and 43" TV in lounge. DSTV Decoder, DVD player. Lockable safe. Story books, colouring books, crayons and toys to keep the little ones busy. Ceiling fans in bedrooms and lounge. Bathroom bath/shower in bath. Communal swimming pool & baby pool. Braai facilities. Covered parking bay for one car. Direct access to the beach. Winkelspruit beach is the main swimming beach 400M from the apartment. Winkelspruit Beach is Shark-Protected and patrolled by life guards during school holidays and has a tidal pool. No railway lines or roads to cross. Regret No Smoking. No Pets. Balcony overlooking the beach, rocks and a beautiful breaker view. Flagship stores Woolworths, Edgars etc. No airport transfers, organize trips. 19602 page views since 04 Feb, 2015. Last updated on 08 Feb, 2019.